An emotionally engaging art exhibition inspired by the ‘Stations of the Cross’ will open at the Charles Sturt University (CSU) Australian Centre for Christianity and Culture (ACC&C) in Canberra on Friday evening 2 March.Executive Director of the ACC&C Reverend Professor Stephen Pickard (pictured) said, “The Centre has a special focus on creativity through the arts and culture, and is delighted to host the annual ‘Stations of the Cross 2018’ art exhibition in Canberra.“The ‘Stations of the Cross 2018’ exhibition takes the original story of Jesus’ tortured progress along the Via Delorosa in Jerusalem, from Him being sentenced to death, to His crucifixion and then resurrection.“Sixteen artists were given a different Station of the Cross to reflect on and produce an artwork.“The 16 works in a range of materials and styles, including sculpture, are inspiring, challenging and engaging. They are a wonderful media through which the important issues and questions are raised about life, faith and meaning in today’s world.“I encourage all people who are interested in considering the meaning of life to view the exhibition and reflect on the questions it raises for them.”The exhibition is curated by Reverend Dr Douglas Purnell, OAM, and Mr Christopher Auckett from Northmead Creative and Performing Arts High School.The exhibition at the ACC&C Chapel, corner Kings Avenue and Blackall Street in Barton, ACT, will be officially opened at 6pm on Friday 2 March by Emeritus Professor Sasha Grishin, AM, and is open from 10am to 4pm daily from Sunday 4 to Thursday 15 March.The full online catalogue can be viewed here:https://files.acrobat.com/a/preview/b9aa5a40-52ca-4af5-97f5-5aaf7c557b8bRelated events at the ACC&C in Canberra include an introduction to the artworks for registered guests by curator Rev. Dr Douglas Purnell from 9.30am to 1pm on Saturday 3 March. The exhibition will be open to the public from 1pm to 4pm that day.A free public lecture on ‘Spirituality and Art’ will be presented by Emeritus Professor Sasha Grishin, AM, FAHA, at 7.30pm on Wednesday 7 March at the exhibition.More information can be found here or by phoning (02) 6272 6201. Agribusiness firms in the Capital Region that want to make the most of Australia's free trade agreements (FTAs) with China, Japan and Korea can gain more information in a Charles Sturt University (CSU) education program.The program including a workshop being hosted by CSU's Centre for Customs and Excise Studiesconcentrates on market opportunities, provides technical training on the regulatory requirements to enter each market, and provides advice on how to best to manage supply chains, so that producers retain maximum value in their businesses.The workshop, being led by CSU senior lecturer Mr Brent Juratowitch, will be held from 9am to 4 pm on Wednesday 15 March at CSU in Canberra, 10-12 Brisbane Ave, Canberra. He will be accompanied by presenters from the private sector with relevant experience in claiming FTA market benefits.Mr Juratowitch said topics covered include market selection, market trends, product classification, tariffs and duties, valuation, regulations, supply chain management, and how to participate in Authorised Economic Operator schemes. "The workshop is part of a six-week program that also includes online business forums, mentoring and tailored advice," he said. "Once enrolled, a participant can access an online platform containing FTA fact sheets, business guides and other materials. They can then review this material in their own time and can contact presenters with specific questions relating to their business. "Participants can enroll online in the FTA program. Former High Court Chief Justice Sir Gerard Brennan AC KBE QC will address Charles Sturt University (CSU) theology graduates during a ceremony in Sydney on Monday 12 December.Sir Gerard Brennan, who was the 10th Chief Justice of the High Court of Australia from 1995 to 1998 and a leading member of the Australian bar, will deliver the Occasional Address to almost 40 graduates from the University's School of Theology.The ceremony will be held from 9.30am on Monday 12 December in Saint Patrick's Cathedral in Parramatta.The Charles Sturt University Medal will be presented to Bachelor of Theology graduate Ms Claire Wright. The medal is the highest honour that the CSU governing body, the University Council, can present to undergraduates.Ms Wright, who studied at the United Theological College, has been recently ordained as a Uniting Church Minister. She'll take up her appointment at the Uniting Church in Bathurst in early 2017.Head of the School of Theology Associate Professor David Neville said, "The School of Theology celebrates the achievements of all graduates, and we are delighted that among their number is a University medallist, the School's seventh University medallist in eight years. "During the same ceremony, the University Council will confer the title of Doctor of Health Studies (honoris causa) on Mr Ahmed Al Hajeri for his international contribution to paramedicine and emergency service management.Mr Al Hajeri, from the United Arab Emirates (UAE), has worked as a nurse and paramedic and is currently the Deputy CEO of the National Ambulance Company in the UAE.CSU was Australia's first university to offer a paramedicine degree, the Bachelor of Clinic Practice (Paramedic) which is offered by the University in Bathurst, Port Macquarie and online. The graduation ceremony is one of a number of ceremonies being celebrated across CSU in December. An innovative art exhibition that celebrates human birth is being hosted by Charles Sturt University's (CSU) Australian Centre for Christianity and Culture (ACC&C) in Canberra until Saturday 26 November.Executive Director of the ACC&C, the Right Reverend Professor Stephen Pickard, said, "In this exhibition 15 Australian contemporary visual artists responded to the invitation to contemplate and explore the process of human birth. "The artists come from a diverse range of national and cultural backgrounds, with contrasting world views. Their works in the exhibition celebrate life through their choice of rich and varied artistic mediums. "The exhibition opened on Sunday 13 and runs to Saturday 26 November and is accessible at the ACC&C, corner of Kings Avenue and Blackall Street, Barton, ACT, from 10am to 4pm Monday to Friday, and from 1pm to 4pm on weekends. More information can be found here. An international research team investigating how children and their parents handle starting or changing school is meeting for the eighth and final time in Albury next week. 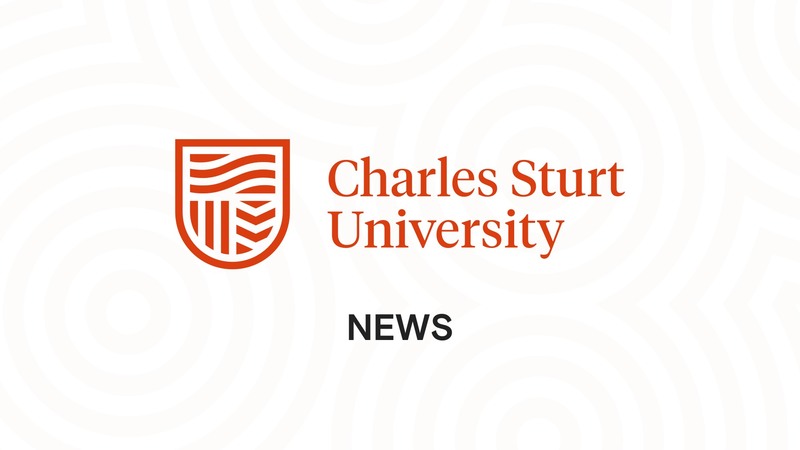 Hosted by Charles Sturt University’s education professors Bob Perry and Sue Docket, the Pedagogies of Educational Transitions (POET) group, with researchers from Australia, Iceland, New Zealand Scotland and Sweden, will share research, policy and practice about the transition to school for all involved. The group will be officially welcomed to Albury on Tuesday evening 16 February by Albury City at the MAMA regional art gallery in Dean St, Albury. On Wednesday 17 February, winners will be announced in the POETry competition which reflects on the entrants’ own experiences in starting school. POETry has attracted entries from as far afield as Scotland and Iran and all entries will be published in the next edition of Studio, an Australian poetry and fiction literary journal, which will also be launched at the announcement.The 30 researchers will have the chance to participate in the City2City Walk Run before moving to Canberra next week for a large international conference on transition in early education. A seminar will be held in Canberra on Friday 23 October to examine the relevance and importance of humility to modern life. The seminar, 'Humility in the 21st century – responses to Reclaiming Humility', follows the launch on Thursday 22 October of the new book Reclaiming Humility: Four Studies in the Monastic Tradition by Dr Jane Foulcher, a lecturer in systematic theology at St Mark's National Theological Centre, a partner in the Charles Sturt University School of Theology. Dr Foulcher's book asks whether humility has a place in contemporary life, and provides a compelling analysis of the theology and practice of humility by examining four monastic traditions from fourth-century Egypt to twentieth-century Algeria. "My book challenges the Church to reclaim Christian humility as essential to its life and witness today," Dr Foulcher said. "In part, I was inspired by American nun Joan Chittister's understanding of humility as 'a proper sense of self in a universe of wonders', and her suggestion that for human survival in the 21st century we need to embrace the wisdom of the Rule of Benedict on humility." The seminar 'Humility in the 21st century – responses toReclaiming Humility' is at 10am to 12pm Friday 23 October in the Withycombe Room at St Mark's National Theological Centre, 15 Blackall Street, Barton. Please RSVP to jfoulcher@csu.edu.au. Two Charles Sturt University (CSU) academics will lead a public discussion with Australian author Kate Llewellyn (pictured) about her book First Things First at the National Library of Australia in Canberra on Tuesday 22 September. The editors of First Things First, Dr Ruth Bacchus in the CSU School of Humanities and Social Sciences, and Dr Barbara Hill in the CSU Division of Student Learning, will discuss Ms Llewellyn's new anthology of selected letters from her private correspondence with artists and writers (1977 to 20014). "The correspondence in First Things First brims with energy, humour and insights into Kate's life," Dr Hill said. "Kate has also been a visiting writer at Charles Sturt University in Wagga Wagga and Bathurst in the past. We welcome all who are interested in Australian literature to come along and learn more about the life of this fascinating and much-loved Australian author." The public discussion with Kate Llewellyn will be in the conference room of the National Library of Australia in Parkes Place, Canberra, at 6pm Tuesday 22 September. Admission is $10 and includes refreshments and book signing. Book here or on 6262 1271 (9am to 12pm Monday to Friday).